Orange has announced its Application Shop, which is designed to offer all those 'other' customers the chance to download their own applications. Currently its customers can download applications on a selection of its handset offering (ie the HTC Hero and the iPhone) but this will now increase to both smartphones and feature phones alike. Orange is offering 5,000 games, wallpapers, ringtones and applications through the portal, in a manner similar to Sony Ericsson's PlayNow Arena, and Orange has stated that through 2010 it will work with developers to increase this number rapidly. 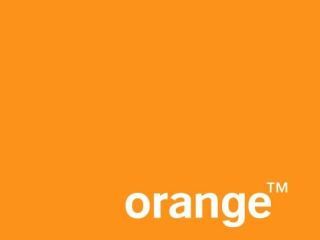 The service will be available on multiple platforms including Java, Android, Blackberry, Symbian and Windows Mobile as Orange bids to make its portal as widely spread as possible. The Application Shop will initially also include Orange services such as Orange TV, Orange Games and Orange Maps, which are often pre-loaded on devices such as the Toshiba TG01. It's already been deployed as an over the air download for most Orange customers, but from early 2010 phones such as the Nokia 6700 Classic and the Sony Ericsson W995 will come with the Application Shop pre-loaded. Users will also be able to pay for the applications they buy through their Orange bill, meaning that no need for credit card billing a la the iPhone.